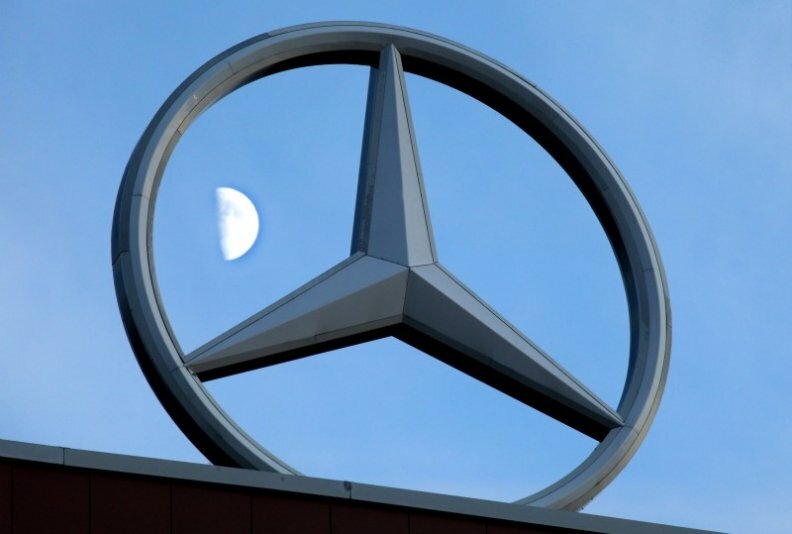 BERLIN – Daimler said that it's standing by a target for a "very significant" rise in 2011 earnings before interest and taxes even as the economy slows. "We can confirm our current outlook," Florian Martens, a company spokesman, said by phone on Tuesday, adding that there is "no intention" to change the forecast. The carmaker will report third-quarter results on Oct. 27. Daimler will report a 28 percent increase in Ebit this year to 9.14 billion euros, according to the average estimate of 27 analysts surveyed by Bloomberg. The stock has dropped 28 percent this year, valuing the German carmaker at 38.8 billion euros. Despite a positive forecast for annual earnings this year, the automaker has been seeking to remind investors of the higher second-half costs for the introduction of revamped Mercedes-Benz models in an effort to manage earnings expectations, a person familiar with the matter said. The automaker has been speaking with analysts to highlight the expense of rolling out next-generation versions of the M-class SUV, B-class compact and Actros long-haul truck, as well as point out raw material and foreign exchange risks, the person said, declining to be identified talking about private discussions. The model costs will burden second-half earnings by 400 million ($548 million) to 500 million euros, while raw material and foreign exchange expenses will add about 450 million euros to expenses, according to Arndt Ellinghorst, a London-based Credit Suisse analyst. Daimler is targeting record sales of Mercedes-Benz cars this year and last month moved forward its goal of delivering 1.5 million vehicles by one year to 2014. Still, concerns about the economy prompted CEO Dieter Zetsche to call on politicians to restore faith in financial markets. German investor confidence in October fell to the lowest in almost three years burdened by Europe's debt crisis.